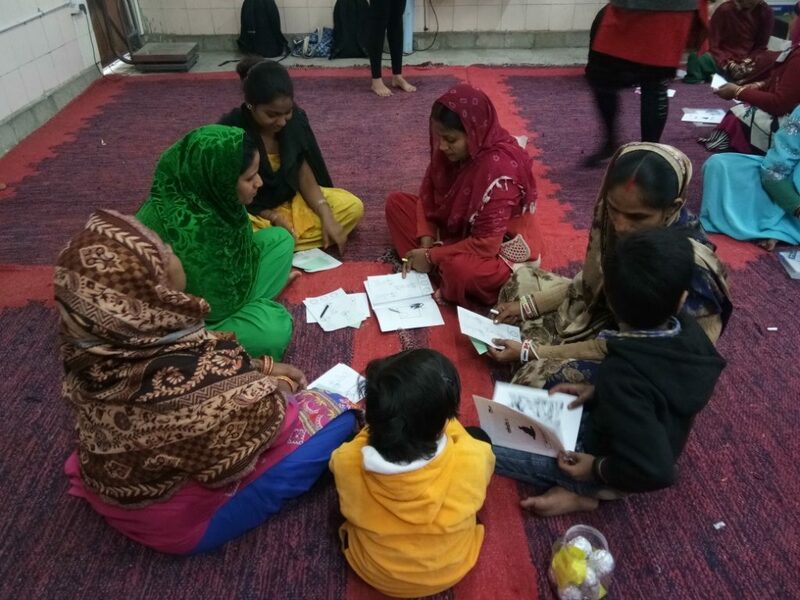 Every two weeks, women in Delhi's Gautampuri gather to challenge the mindset that educationally disadvantaged mothers are incapable as teachers. Gautampuri is a colony that sits behind the towering All India Institute of Ayurveda near Badarpur border in South Delhi. The portion of the road up to the institute has been wide and concretised since the prime minister’s inaugural address in October last year, with stretches of grass populating either side of the road. As you cross the Institute, the road curves into the dusty and bumpy road of Gautampuri – a bustling space populated with shops and dhabas. Ostensibly, Gautampuri resonates with the numerous under-resourced communities across Delhi. However, a unique revolution has started here. Mothers of children studying in the first standard in the local government school have been meeting every two weeks and challenging the belief that educationally disadvantaged mothers cannot have a great impact on their child’s learning. Because children spend maximum time at home, the learning environment at home is crucial for their academic success. Mothers, the primary caregivers to children, however, face three big challenges in Gautampuri when it comes to supporting their child’s learning at home. One, long working hours within and outside the household leaves them with little time to spend with their children, as most of these women are domestic workers who leave early in the morning for affluent localities. Two, as most parents in the community work in low-skill and low-paying jobs – many as daily wagers – the households are financially stressed. Since women are generally responsible for budgeting and procuring household commodities, they face high stress in making ends meet for the family. Three, most mothers are clear about wanting to support their children’s education up to the higher secondary level and beyond, but since most of them are not comfortable with reading and writing, they doubt their capacity to engage meaningfully in the child’s learning process. Some even hesitate to help in homework in the fear of making mistakes. Many mothers send their children, some even as young as 6-years-old, for private tuitions. “Humein padhna nahi aata, to bacchey ko kaisey padhayenge. Isliye tuition bhejte hain (We send the child for tuitions because I cannot read myself. How can I teach the child? )” said a woman. Scientific evidence, however, challenges this mindset. According to the Centre for the Developing Child at Harvard University, the odds of a child doing well in school and life in general depend on the ‘resilience’ that she develops in early childhood. A supportive caregiver – the mother in most cases – is crucial for this. To build ‘resilience’, a caregiver must address three aspects of a child’s learning environment. One, the learning environment should help a child build her core life skills that are important for her to do well in studies and life in general. These include the ability to remember and process information, set priorities, resist impulsive actions and shift attention in response to diverse demands and settings. Two, the learning environment should help the child develop a positive response to stress in her environment. This is characterised by brief physiological deviations like increased heart rate and changes in hormonal levels and is a part of healthy growing up. However, recurring and long durations of exposure to stress in early childhood – like physical or emotional abuse, long-term neglect or exposure to violence – without adequate adult support, leads to toxic responses to stress. This may cause disruption in brain development and lead to long-term cognitive problems and mental illness. Third, an environment of responsive relationships is crucial for the overall development of a child. In the absence of a stable and responsive relationship in difficult conditions, a child’s brain development may be disrupted leading to toxic stress responses and consequently life-long problems in physical, mental and emotional health. The concept of ‘resilience’ is difficult to demonstrate and measure in the short term. It is realised as a child grows up — through her actions and responses to diverse challenges. It is, however, crucial to develop resilience in the early years so that the child is ready to do well in school. 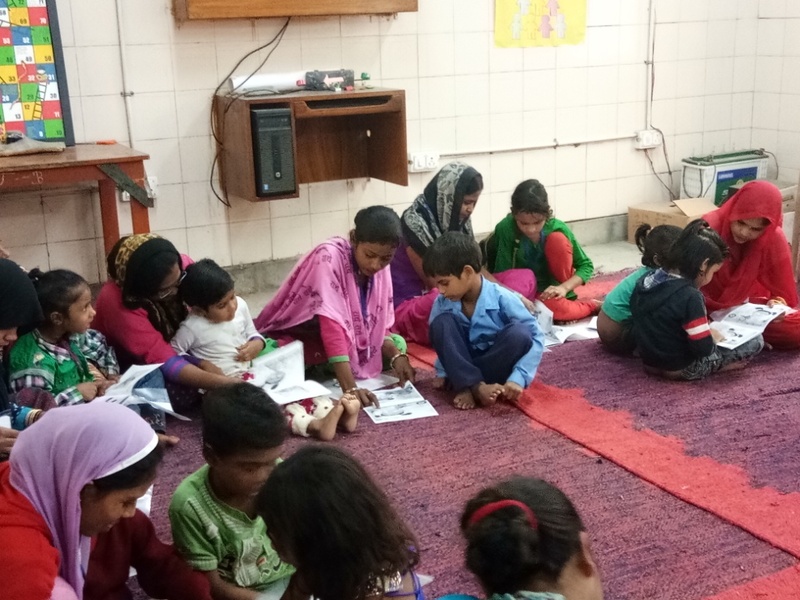 To sensitise the parents of Gautampuri on the urgency of starting early, the Meraki Foundation team has reached out to mothers of class I kids in the local government school through home visits, phone calls and bi-weekly workshops. The team worked with the mothers and compiled a set of – pictorial and text free – activities, stories and games into small booklets. Mothers use these booklets to engage children in meaningful and enjoyable two-way conversations aimed at building core life skills, improving the mother’s responsiveness and mitigating stress in the home environment. Initially, many mothers did not have confidence in their ability to even hold textbooks in their hands. Initiating a conversation around it with the child was more difficult. However, with time, these mothers have overcome the fear of teaching. This was possible due to their participation in workshops that consisted of role-playing with each other. After two weeks, they would re-group and evaluate their experiences, share stories and learn more techniques to utilise the existing resources in their homes and within the larger community. As they continue to learn, the mothers of Gautampuri have created a space for themselves that finds strength in a unifying motivation, to provide their children with the best future possible and make them resilient. Mashhood Alam Bhat works as an Operations Associate with Meraki Foundation.